Fashion High Tea is one of the most preeminent events in the month of February where style, brands and personalities all meet at Zen Garden for a worthy cause. 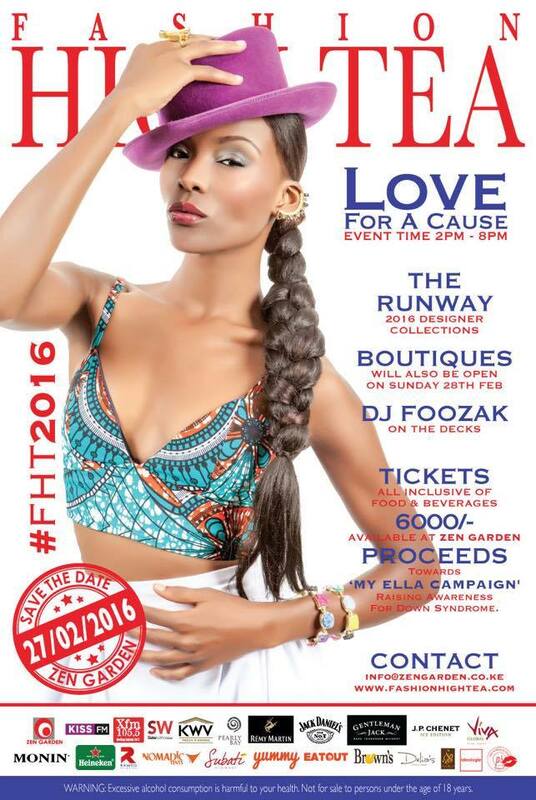 This being the 6th edition of Fashion High Tea, the event will take place on the 27th of February from 2pm to 8pm. In all the previous events they have supported various charitable causes. This year FHT2016 will be supporting the 'MY ELLA CAMPAIGN'. This is to raise awareness about Down Syndrome and the facilitation of the 'My Ella Down Syndrome Resource center in Nairobi. WHATS TO BE EXPECTED THIS YEAR? Apart from the elaborate and lavish menu that Zen Garden always has, the runway is going to be extravagant with intimate table settings for all the guests to enjoy. Gorgeous models will strut the catwalk in stunning couture pieces from both local and international designers. There will be amazing mini boutiques featuring at the venue showcasing and selling an array of fashion garments, shoes, accessories and jewelry. KISS FM, XFM, Slater & Whittaker, KWV Wines, Pearly Bay, Remy Martini, Jack Daniels, Gentleman Jack, JP Chenet, Viva Global, Amsterdam Vodka, Heineken, Nomadic Tents, Ramco Printing Works, Eat Out Yummy, Browns, Subati Flowers, Suzie Beauty, Ideologie and PS Runway. The beverage bars are always a treat each year, as there will be unlimited cocktails, spirits, wines, soft drinks, tea & coffee throughout the event. THE SW HUB - GENTLEMAN'S JACK CLUB & KWV HEAVEN. Sip on the classic old fashioned and enjoy the taste of bourbon. 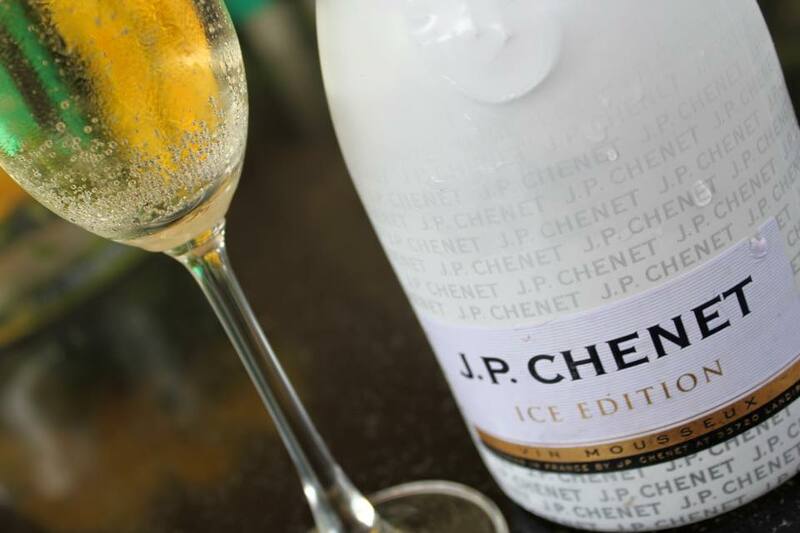 Indulge in wines and sangria, as well as JP Chenet Sparkle on ice. This is the place to be seen!! Enjoy the new Amsterdam Vodka & Gin cocktails all afternoon. Sample a variety of delicious cheese, dips & crackers! Perfect place to be on that hot day. HOW TO GET YOUR TICKET. Advance tickets and tickets at the door will cost 6000ksh per head( inclusive of all food, drinks, entertainment & fashion show). Tickets only available from Zen Garden. Following the sell out show, tickets will be limited due to capacity and sold on a first come first serve basis. Zen Garden, Spring Valley, Nairobi. You have to attend it Mark. You will love it. Fashion High Tea is always one great event. I am looking forward to this year. - Hillary G.
Its the best well organized fashion event in Kenya.